Having referred to myself as a “washed up fourth year” on five, no wait six, separate occasions this past week, I have officially committed myself to three new goals: 1. getting over the flu, 2. making and following through with plans to hang out with people, and 3. taking advantage of my first ever three-course quarter and exploring all the neat things going on on campus. To aid with that anti-UChicago “good in theory, but bad in practice” third goal, I’ve rounded up some on (or near) campus upcoming events that peaked my interest for the quarter. Be sure to check out the UChicago Arts Calendar of Events to see if anything else catches your eye! The first iteration in a three-part exhibition series, Expanding Narratives uses the formal relationship between the figure and the ground in art history as a conceptual springboard into discussions around visual representation, the museum space, and the role the Smart Museum’s collection plays in fostering the exchange of diverse perspectives. The exhibition tells a familiar story of aesthetic progress—from naturalism to abstraction to a plurality of contemporary art practices across media—but gives pride of place to the work of women and people of color. The Time Is Now! examines this watershed cultural moment—brimming with change and conflict—and the figures who defined it. Focusing primarily on African American artists in and outside of the Black Arts Movement, the exhibition features approximately 100 objects assembled from the Smart Museum’s collection and other public and private collections, including art and ephemera associated with the Wall of Respect, Black Creativity, the Civil Rights Movement, AfriCOBRA, Afrofuturism, the Hairy Who, and the radical sounds of the Association for the Advancement of Creative Musicians. Why do people censor? For ambition? Religion? Profit? Power? Fear? 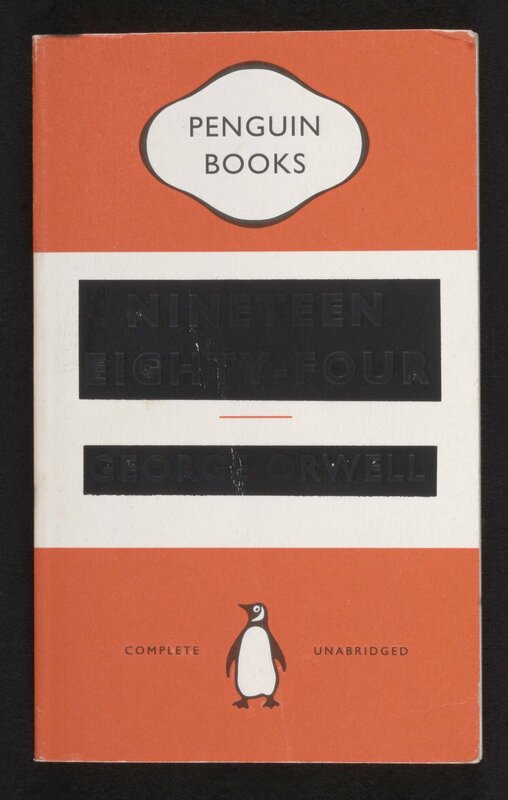 This global history of attempts to control or silence information examines how censorship has worked, thrived, or failed in different times and places, and how real censorship movements tend to be very different from the centralized, methodical censorship depicted in Orwell's 1984, which so dominates how we imagine censorship today. Committed Knitters builds a sense of community through knitting and crocheting. Learn the basics or use as a refresher course and make a project. If you already know how to knit or crochet, join us and share ideas. All supplies will be provided. Committed Knitters meet every Wednesday from 12pm - 3pm in the Second Floor Flex Space of the Arts Incubator. Siva Vaidhyanathan - "Antisocial Media"
About the book: If you wanted to build a machine that would distribute propaganda to millions of people, distract them from important issues, energize hatred and bigotry, erode social trust, undermine respectable journalism, foster doubts about science, and engage in massive surveillance all at once, you would make something a lot like Facebook. Of course, none of that was part of the plan. Philippe Parreno is known for extraordinary, atmospheric exhibitions, in which everything always seem to be in transit, as effects of media, formats and processes that draw on both machinic, biological and subjective temporalities. For Parreno, an exhibition is never simply a display of objects, but a specific way of organizing time. Often associated with so-called "relational art", the situations he constructs tend to open up questions concerning various forms of social or collective being. For this evening at the Logan Center Performance Penthouse, Philippe Parreno will discuss these and other issues in conversation with Ina Blom and Jörn Schafaff. The event will feature a screening of three of Parreno's short films - Credits (2000), The Crowd (2015) and June 8, 1968 (2009), which all touch on questions of collectives, although in very different ways. Urban Readers Series: Richard Sennett - "Building and Dwelling"
"Building and Dwelling" is the definitive statement on cities by the renowned public intellectual Richard Sennett. In this sweeping work, he traces the anguished relation between how cities are built and how people live in them, from ancient Athens to twenty-first-century Shanghai. He shows how Paris, Barcelona, and New York City assumed their modern forms; rethinks the reputations of Jane Jacobs, Lewis Mumford, and others; and takes us on a tour of emblematic contemporary locations, from the backstreets of Medellín, Colombia, to the Google headquarters in Manhattan. Through it all, he laments that the “closed city”—segregated, regimented, and controlled—has spread from the global North to the exploding urban agglomerations of the global South. As an alternative, he argues for the “open city,” where citizens actively hash out their differences and planners experiment with urban forms that make it easier for residents to cope. In the heart of the South Side of Chicago, an 85-acre area abutting a railyard means different things to different people. For more than 400 African American families, it is home. For Norfolk Southern railroad company, it is space to expand its train-to-truck intermodal depot. Directed by noted photographer David Schalliol, The Area begins in 2012, when Norfolk Southern has already bought out over half the area’s residents and is picking off the holdouts. Middle-aged homeowner Deborah Payne puts off her plans to move; instead, she digs in and becomes an ad hoc community organizer. As her neighbors jump ship and houses are pulled down, property values implode. Valiant and stubborn, Payne fights for fair-value buyouts and respect for those who remain. Filmed over the course of five years, The Area tells a complex story of economic revitalization, commercial interests, and community rights. Heading south to the swamps of the musically vibrant New Orleans, Blanche DuBois moves in with her sister Stella and aggressively untamed brother-in-law Stanley Kowalski. Set in a time not long ago, Blanche blurs the lines between right, wrong-- and and a primal need for compassion. Explore the animalistic nature of this melded family in Tennessee Williams’ Pulitzer Prize-winning drama. Event descriptions and featured image via UChicago Arts.